Railpictures.ca - Ryan Gaynor Photo: This Wheel’s on Fire. A trio of EMDs work CN’s Stuart Street Yard as the sun sinks below the horizon in a fiery orange glow. | Railpictures.ca – Canadian Railway Photography – photographie ferroviaire Canadienne. Caption: This Wheel's on Fire. 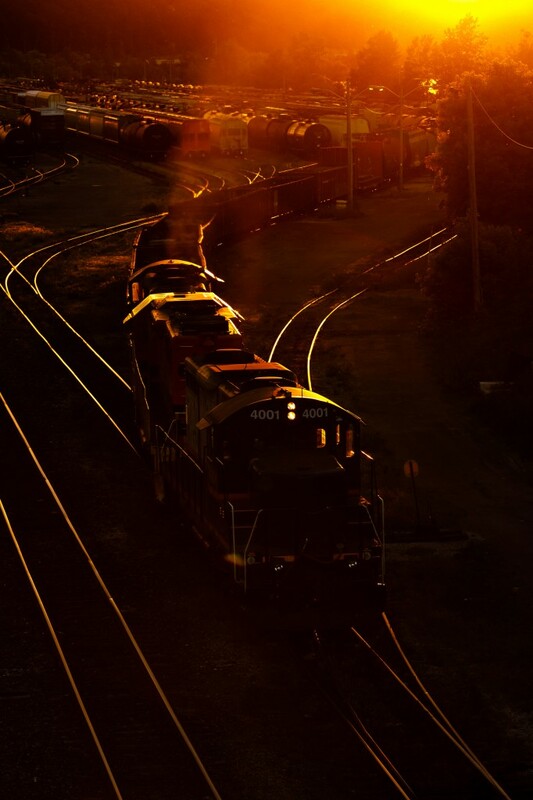 A trio of EMDs work CN's Stuart Street Yard as the sun sinks below the horizon in a fiery orange glow.